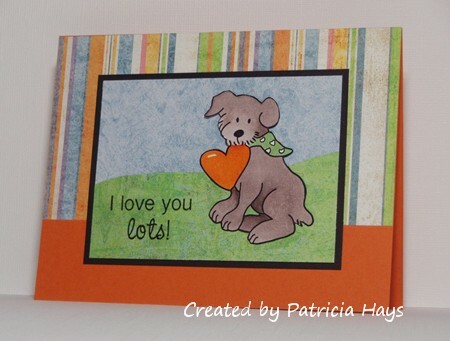 Squeaking in under the wire, here is the card I made for the April Sketch For You to Try challenge. I actually made this one a couple weeks ago but kept thinking I’d have time to make “something better” to submit for the challenge. Well, that didn’t happen, so what I have is this very clean and simple version of the sketch. I inadvertently swapped the long panels when I assembled the card so this is actually a mirror image of the sketch. 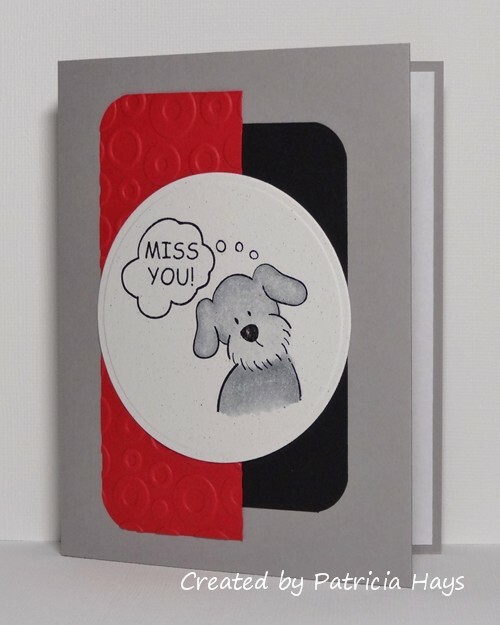 This card also uses several of the Desert Islands Crafts Challenge itinerary #29 items: no flowers, red and black, pressure embossing, gray, and rounded corners. 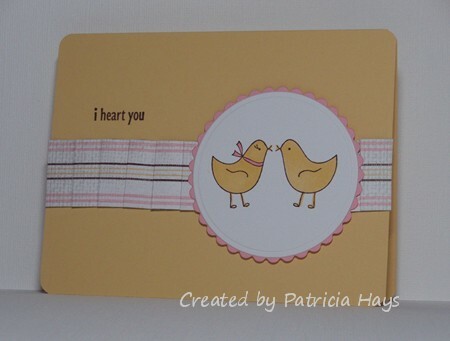 Posted by PH in VA at 8:30 pm Cards, Desert Islands Craft Challenge, Digital images, K 'n K Designs, Nestabilities, SFYTT sketches, Stampin' Up! I mentioned in my last post that I felt I should make more Any Hero cards for Operation Write Home, to thank the men and women stationed overseas for the work they do. Today I’m sharing another card made for that purpose. I used the December Sketch For You To Try for the layout. The sketch was drawn as a square, but I squooshed it into a rectangle to make a “regular” 4.25″ x 5.5″ card. When I was coloring the image the eagle’s head turned out darker than I wanted it, but oh well. I know it would look better if I had a sky and clouds and such in the background, but I didn’t take the time for that and I guess it looks OK the way it is. It was nice to finally find a use for these mesh star eyelets that I bought at least 5 years ago. Awww. Revisiting those cards was fun! 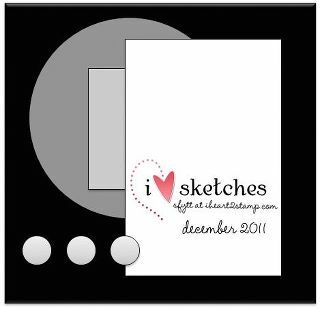 I’m looking forward to another year of sketches in 2012! 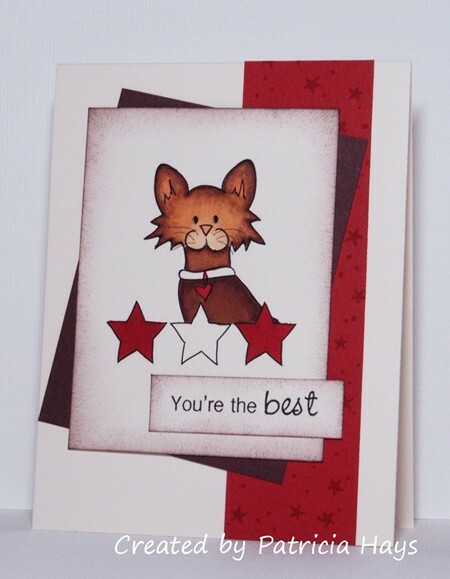 Today’s card uses the layout from this week’s Stars & Stamps Blog sketch challenge. I wanted to make a Valentine for the Operation Write Home Archway Cookie Mission, but I wasn’t in a pink and red hearts mood. 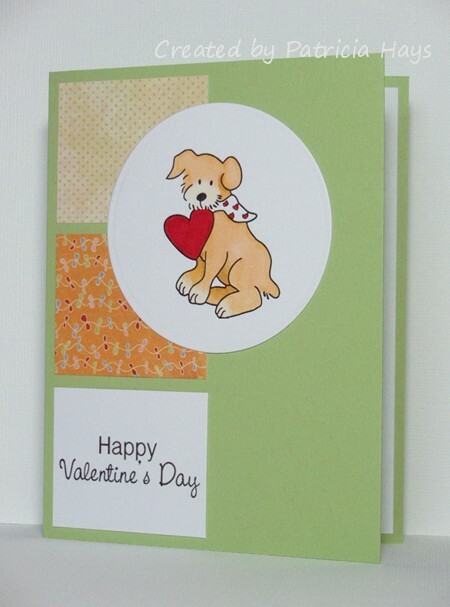 I figured there are parents stationed overseas who would want to send a Valentine home to their sons who aren’t into the typical Valentine stuff, so I chose some non-traditional colors and this dog image. I rotated the sketch because it seemed to work better that way. Finally for today, I decided to take on the challenge that Dixie at What’s Next presented: to make a non-traditional Valentine. I pulled out a Lizzie Anne Designs stamp set that hadn’t seen action since last Valentine’s season. I’m glad I did. 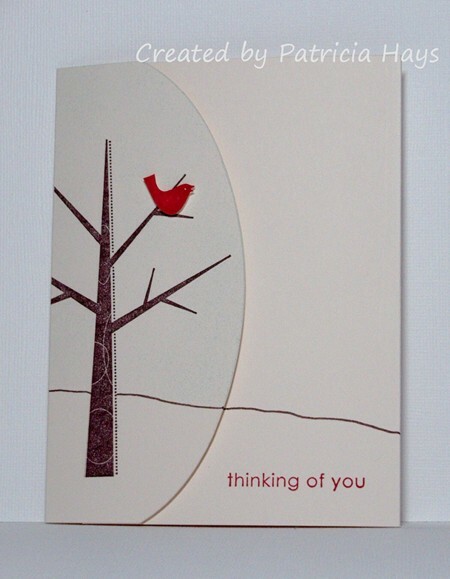 There are a lot of nice sentiments in it that are love-related and would be great for OWH cards year-round. I chose one of them for this card. I added a pleated strip of designer paper for a faux ribbon. 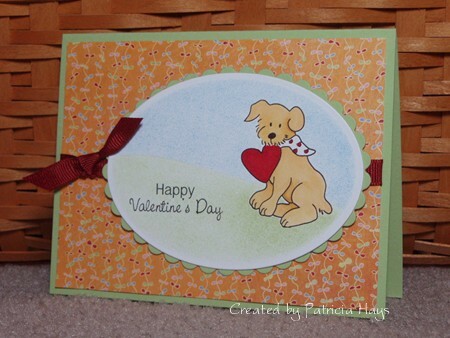 Posted by PH in VA at 11:30 pm Cards, Digital images, K 'n K Designs, Lizzie Anne Designs, Nestabilities, Operation Write Home, Stampin' Up! It’s Sunday, which means there’s a new sketch challenge on the Operation Write Home Stars & Stamps blog! I had volunteered to make a sample card for one of their sketch challenges, and the sketch I was given is the one presented this week. 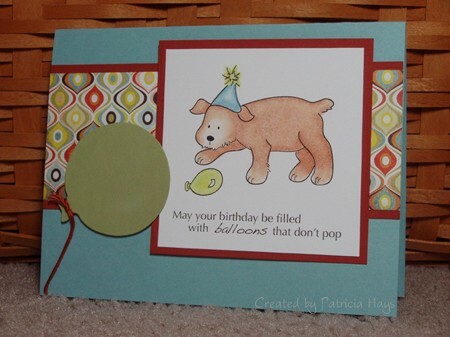 I decided to make a birthday card using this adorable digital image from K ‘n K Designs. The accompanying sentiment makes me smile every time I read it. I substituted a die-cut balloon for the circle element of the sketch because I felt that tied in with the theme. I hope you’ll play along in the challenge, and choose to send some cards to Operation Write Home so that our military members overseas can keep in touch with their families here. I have to say I learned quite a few things during Operation Write Home’s Valentine blog hop. 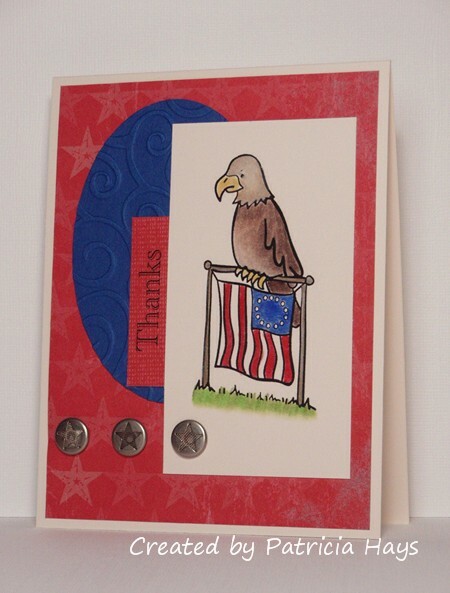 The most enjoyable thing was seeing all the fantastic cards others have created, and realizing that they are all going to help spread some happiness to our brave military members far from home and to their families here in the states. One really neat thing I found out is that if OWH receives 4000 Valentines by December 1, Archway Cookies will donate 4000 cookies to our troops overseas! Click here for more details on this special mission! I also discovered some super cute digital images from a company called K ‘n K Designs. Katlyn, the company owner, is being generous enough to offer the Valentine Kolar set FREE if you email her by noon (central time) Monday, Nov. 15! See the K ‘n K Designs website for more details. I thought Kolar was really cute, and I have to admit I love freebies, so I went for the offer. Today’s card is my first creation with this set. I kept it pretty quick and simple. I also wanted to keep it fairly generic so it could be given to either a boy or a girl of any age. The sky and grass are sponged, and Kolar is colored with Copic markers. The ribbon does match the red heart better in real life than it does in the photo.